Thieves Oil has a wonderfully sweet, earthy aroma. This powerful blend of essential oils has antiviral, antibacterial, anti fungal, and insecticidal properties. Enjoy that sweet disinfectant! 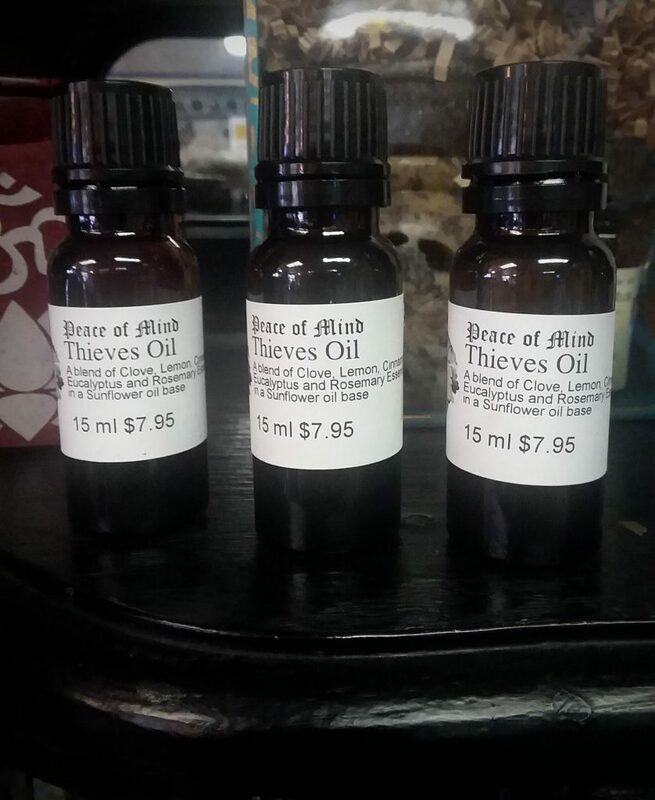 Many thanks to Russ for creating our very own blend here at Peace of Mind! 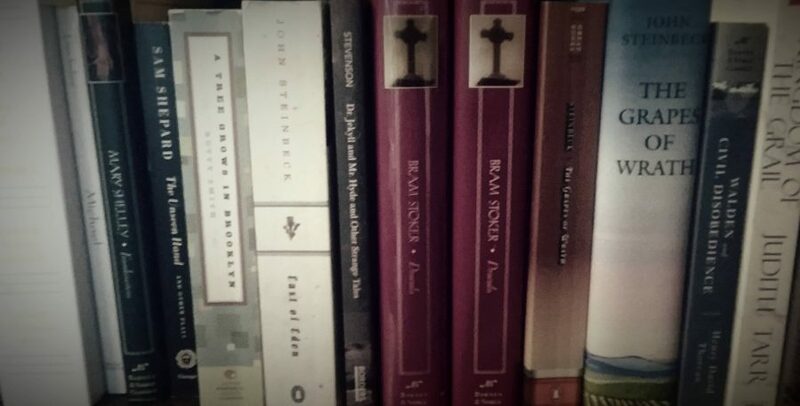 Peace of Mind Gifts is the gift shop for both Aquarian Age Massage and Peace of Mind Books. Our giftshop is located in the corner storefront of our building at the heart of the Cherry Street District. 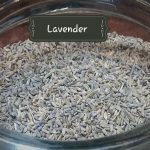 We have Tulsa’s largest selection of essential oils which we hand-pour for our customers. 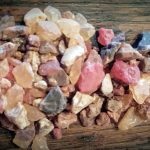 We also have a wide variety of crystals, fine quality incense, and massage oils. 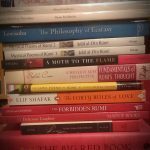 We provide gift options for guidance on the path of enlightenment working with the power of prayer, meditation, crystal healing, chakra activating, chakra cleansing, and various other spiritual teachings. 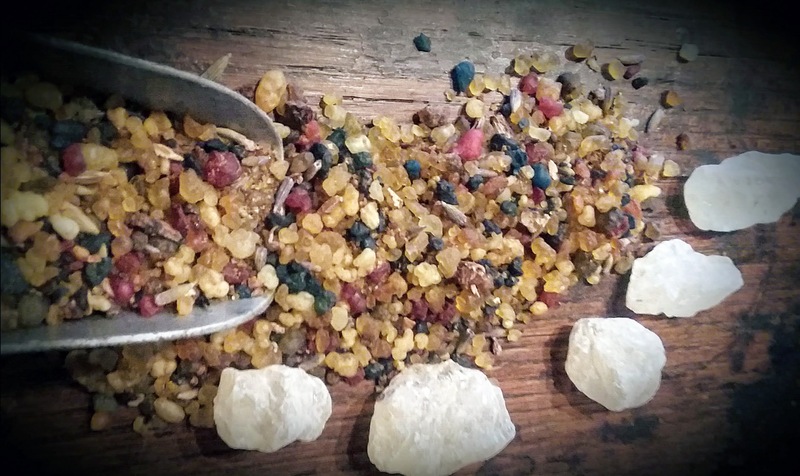 Click the links below to see our crystals, incense, and essential oils in stock. We believe in promoting positive thinking, positive actions, and assisting in the overall Spiritual Healing of the Mind, Body and Soul. 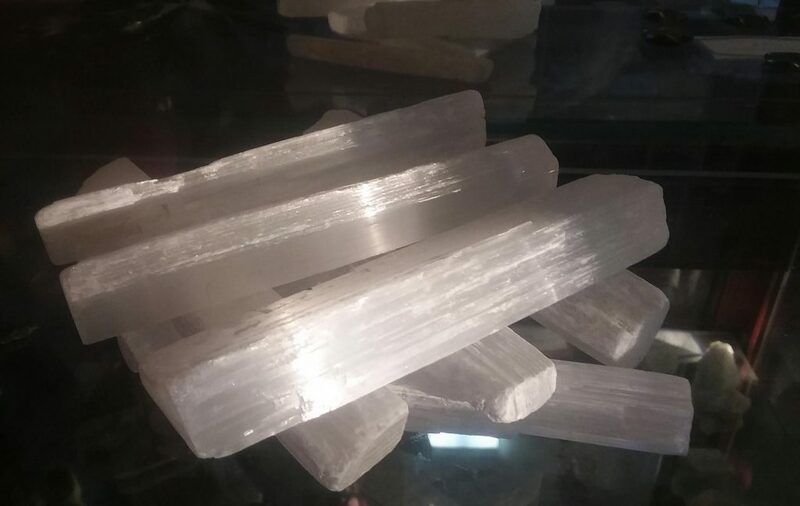 Selenite is a form of gypsum occurring as transparent crystals, sometimes in thin plates. 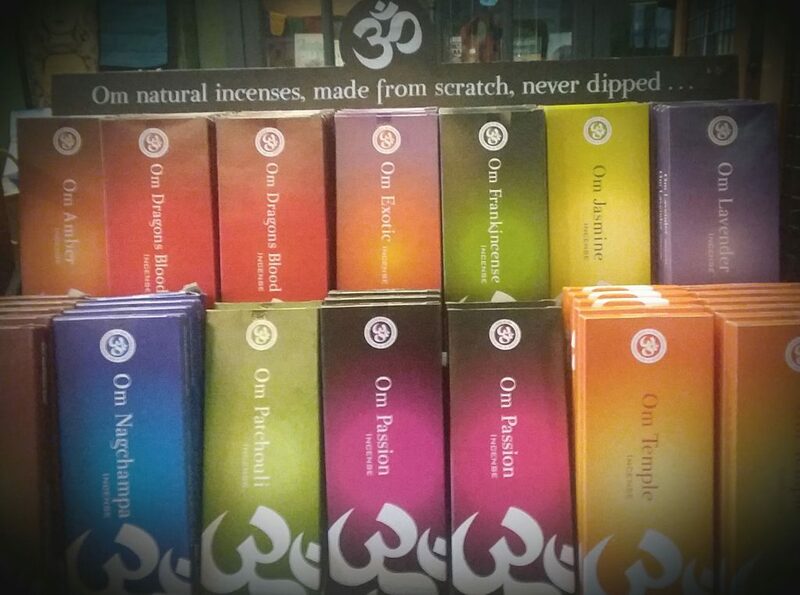 Om natural incenses are only one of the varieties of incense that we carry in our stores.